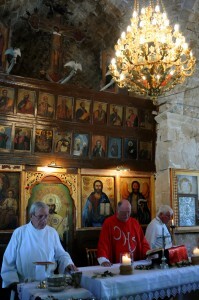 St. Paul’s Catholic Parish, Paphos, Cyprus. Welcome to St. Paul’s Catholic Parish in Paphos, Cyprus. 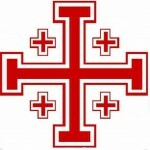 Our parish covers the Paphos Region in the west of Cyprus including the towns of Paphos and Polis where regular masses are held. The Parish is a lively Catholic community of people from all walks of life and many countries. At Mesa Chorio we have a cemetery with the chapel of SS. Cosmas and Damian. For Information on Weddings Baptism and Pilgrimages please see the relevant pages on this website, for Funerals, Catachetics, Pastoral Care or any information on the Parish or Parish Projects please contact either the office number or any of the priests. You can also send an email directly from this site using the Contact Form. Holy Week and Easter 2019 Here! The new parish office is situated upstairs in the Parish Hospice shop by the Agia Kyriaki Church. Entrance is through the shop and up the stairs at the rear, the office is open from 9 am Mon – Fri and one of the priests is usually available. Outside of working hours please use the telephone no.’s listed above. The people in our parish come from many diverse cultures bound together by the Christian Catholic faith. We feel it is important that all these groups are represented on this website. If you are a representative of one of the many groups, whether Cultural (Maronite, Sri Lanken, Philippine) or a group (Caritas, El Shadai) then please talk to us about your group being represented on this website.